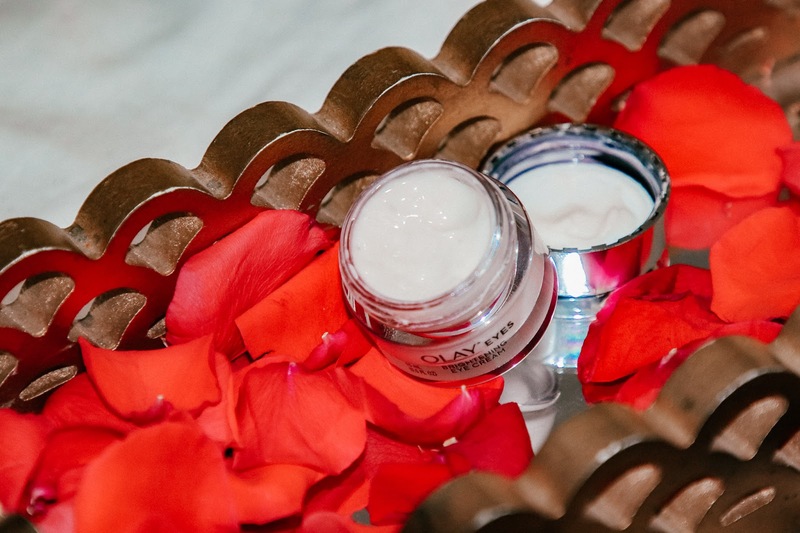 This post is in partnership with Olay, a brand I use and love. All opinions are 100% my own. I'm so excited to be maybe the first, to tell you about . I've been using it for about three weeks now and it's amazing. 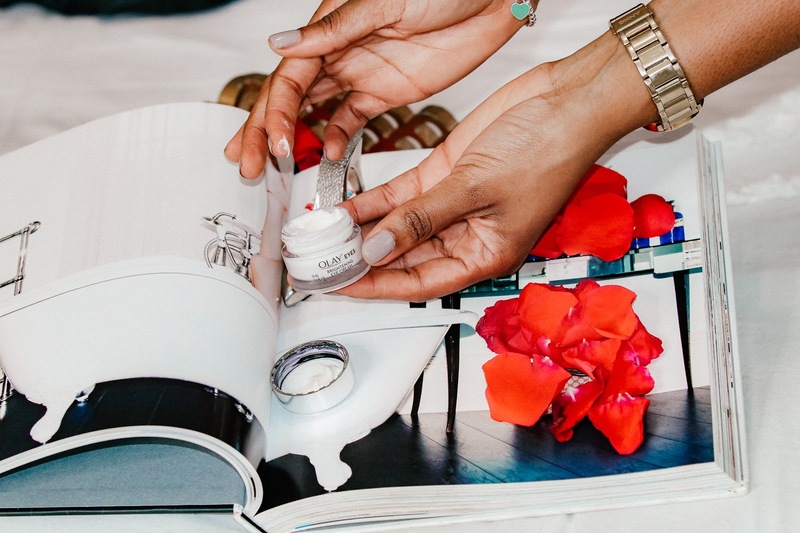 Olay is my overall favorite skin care brand, and while I do use other brands on my skin, I can always count on Olay to deliver the best products for every woman. 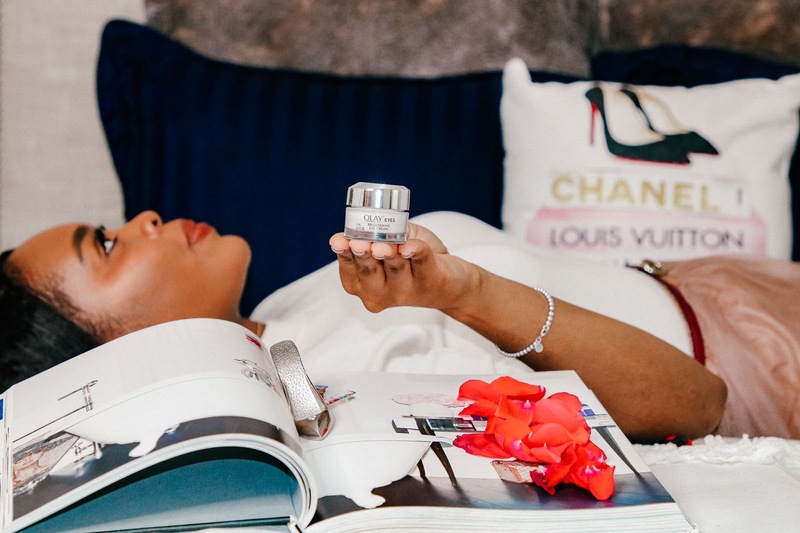 Now, this brightening eye cream came at a good time. About eight years ago, my mom introduced me to my very first eye cream, and it was an Olay brand. I mildly rejected the idea of an eye cream because what difference would it make, I thought. Well, thanks to my mom for being such a skin care enthusiast. I fell in love with Olay, and here I am today sharing with you, their newest one. 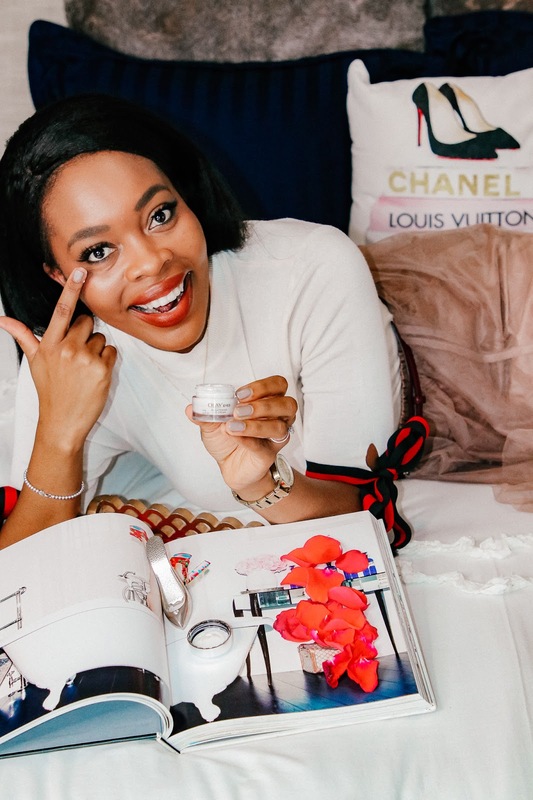 I love that this eye cream offers a light formula of Vitamin C and Vitamin B3- both have shown to improve brightness and discoloration over time. I was more so looking forward to the benefits of brightness, especially since my eyes tend to go dull after a few hours. After going dull, they tend to develop dark circles with extended fatigue. Every few weeks I have days where I I'm traveling or working non-stop and late hours. 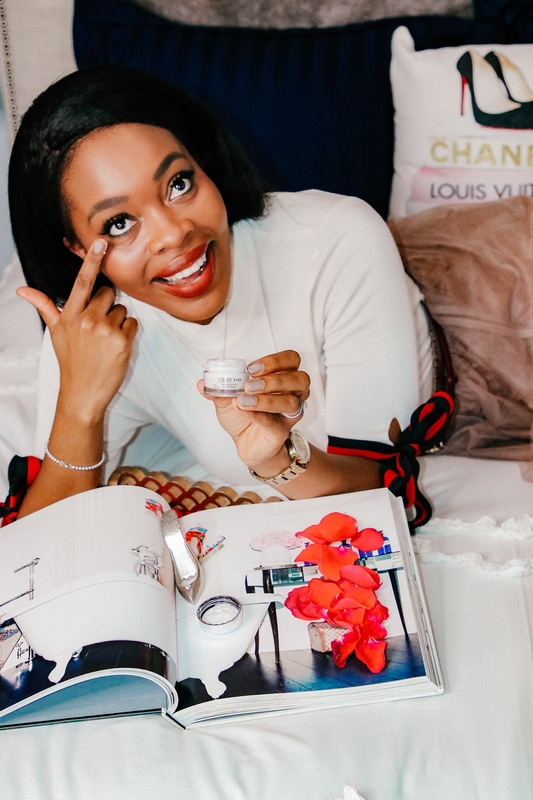 I've added to my morning routine, and it's super hydrating and helps brighten my eyes for a full day ahead. I also loved that my makeup glided over it smoothly. I tend to wear less makeup on the weekends and after applying the eye cream, it blends great under my eyes. It gives them a pretty bright and illuminating glow. 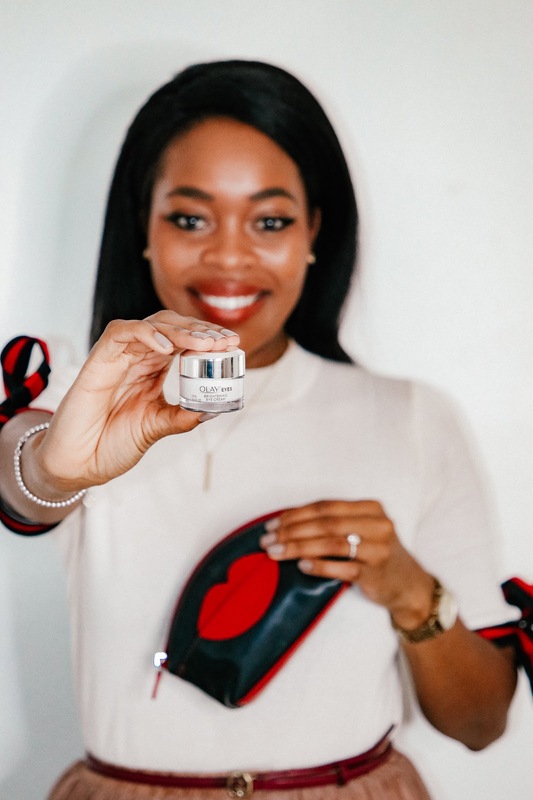 By using this eye cream consistently overtime, it's said to help smooth fine lines and wrinkles. and how you like it. Use hashtag #heybrighteyes on social media so we can all see how it's working for everyone. Hope you enjoyed this post and found it useful. Remember you can always shoot me an email with your skin care question, comments or concerns @ (styleweekender@gmail.com). 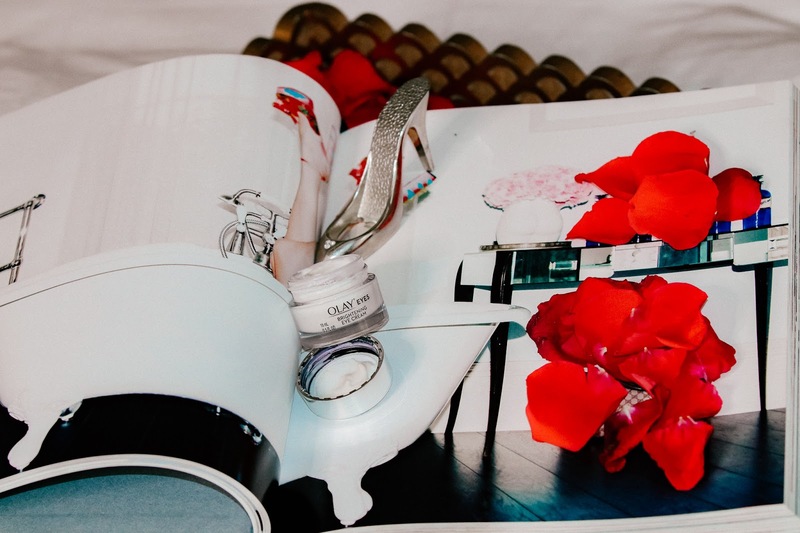 I loved this photo shoot with Olay, bright flowers, and the precious shoe embellishment! CVS...I am on this and will continue to check this line out. I saw a picture of myself and my eyes looked like they were half closed! I need a perk-up.